So easy and ooey-gooey cheesy! Preheat skillet over medium heat. Butter one side of a slice of bread. 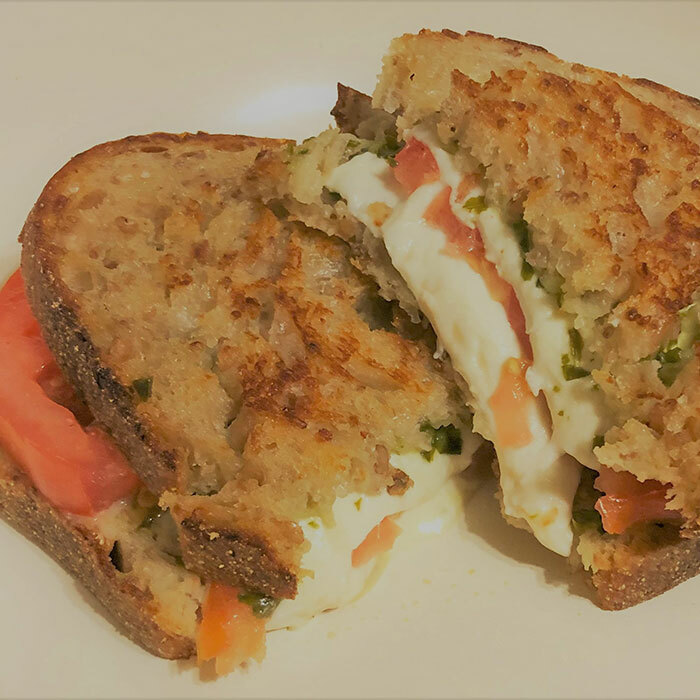 Place bread butter-side-down onto skillet bottom and top with fresh chopped basil followed by mozzarella cheese, tomato slices, and a little more mozzarella cheese on the bread. While the first slice of bread is “grilling,” butter a second slice of bread on one side and place butter-side-up on top of sandwich. Grill until lightly browned and flip over; continue grilling until cheese is melted.